Michael E. Riley, Connecticut Superior Court Judge (Ret. ), is a member of the Alternative Dispute Resolution (ADR) practice at Pullman & Comley. He retired from the bench in May, 2017 after 13 years of service as a Superior Court judge. As a member of the bench, he served as the Administrative Judge and as Presiding Judge for civil matters in the Judicial District of Windham and most recently as the mediation judge in the Hartford Judicial District Mediation Center. Retired Judge Riley serves as a mediator and arbitrator in state and federal court civil matters. 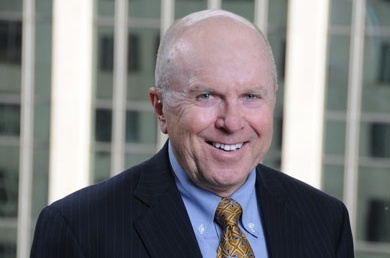 He has been board certified in Civil Trial Advocacy by the National Board of Trial Advocacy since 1990. Judge Riley is a former trial attorney with 28 years of experience representing both plaintiffs and defendants in a wide range of civil matters, including personal injury, professional malpractice, and insurance coverage disputes. Prior to being appointed to the Superior Court, he was a partner at a Hartford law firm practicing primarily in civil litigation and appellate work. Earlier in his career, he worked in-house at a large national insurance company for more than 20 years, most recently as managing attorney and claim counsel.